Are my medications right for me? Ever wonder how medications might interact with you? MedTek21 now offers a way for you and your care provider to understand how your genetic profile might impact medication efficacy. Your genes contain specific information about how your body reacts to certain medications, both prescription and over-the-counter. Studies have shown that incorporating genetic factors into the prescribing process can help improve efficacy and reduce adverse effects. MedTek21 Direct is a combination of genomic screening and monitoring services. With MedTek21, your personalized medication report is always up-to-date, alerting you to any new medication conflicts or issues as they arise. Some of the most common medications have been known to react differently to patients based on their personalized genomic profile. Process a test kit request through our secure server. A MedTek21 team member will help coordinate your test process, and contact you with any required information prior to sending out your test kit. Your results will be sent to you and your care provider electronically within a few days of receiving your test. 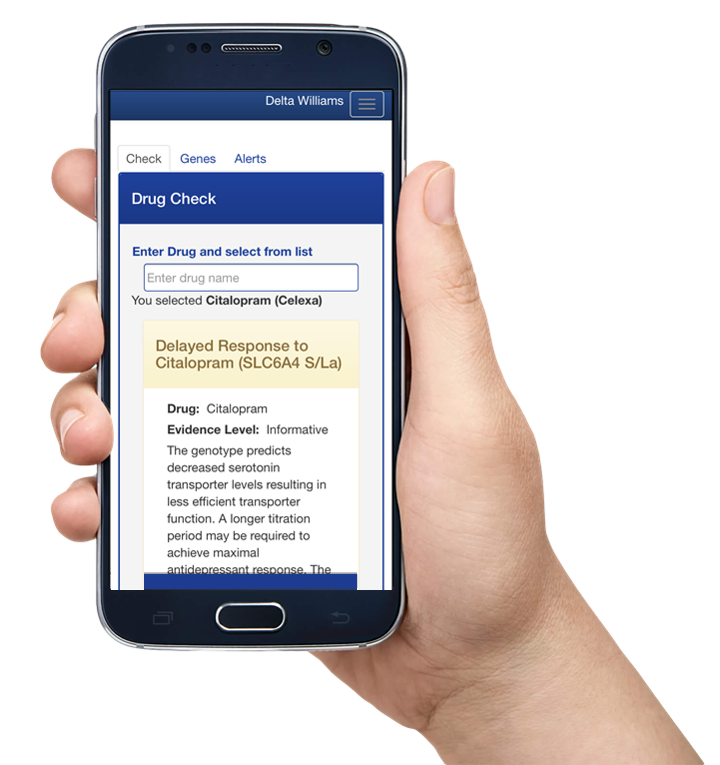 You will also have continuous access to the MedTek21 mobile portal, which will provide you with proactive medication lookups as well as an always-up-to-date list of medications and alerts based on your unique genetic profile. Pharmacogenomics is the study of how genetic differences can cause variations in individual response to medications. What will I learn from the test results? others metabolize certain medications slowly. Understanding how your body metabolizes medications you are prescribed, or potentially would be prescribed, allows your care professionals to customize your medications and calculate optimal dosing. A sterile swab is used to gather a sample of DNA from inside your cheek. It is a simple and painless process. Do I need a physican's signature? An authorization will be required, but there’s nothing for you to do. MedTek21 Direct will work with your physician to authorize the test. The results of your test will be sent directly to you and your physician team, typically within 3-5 days after we receive your sample. Results will also be made available through the MedTek21 portal. MedTek21 Direct facilitates the completion of a pharmacogenomic test panel, which is a clinical diagnostic tool that requires a physican approval. Use of the MedTek21 platform is contingent on this approval. The use of these panels is subject to restrictions on patient location set forth by certain states. Your MedTek21 care coordinator will ensure you meet all requirements prior to sending you a test kit.